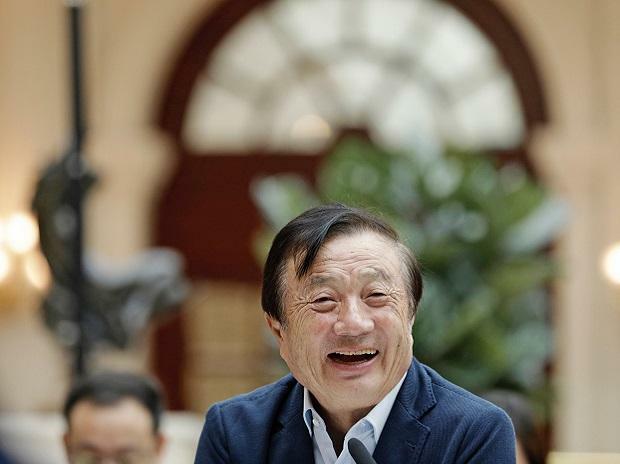 Ren Zhengfei, the billionaire founder of Huawei Technologies Co.
Huawei is currently reeling under pressure from the United States over its alleged threat to the national security. The country has also accused the company of being used as a vessel by the Chinese government to spy on the US. In the first public interview after daughter Meng Wanzhou's arrest on charges of money laundering, bank fraud, and stealing trade secrets, Huawei founder Ren Zhengfei told the BBC that the arrest was a politically motivated move. The founder said that there is no way the US can crush Huawei. He further added that the company is much more advanced for the world to simply eliminate it and even if the US pressurises more countries to not use Huawei products temporarily, the company can scale down a bit. Recently, the US warned its allies against using Huawei technology. Australia, New Zealand, and the US have already banned or blocked the company from supplying equipment for their future 5G mobile broadband networks. Ren Zhengfei stressed that America doesn't represent the world.